Grape juice is obtained from crushing and blending grapes into a liquid. The health benefits of grapes include their ability to treat constipation, indigestion, fatigue, kidney disorders, muscular degeneration and the prevention of cataracts. Grapes, one of the most popular and delicious fruits, are rich sources of vitamins A, C, B6 and folate in addition to essential minerals like potassium, calcium, iron, phosphorus, magnesium and selenium. Applying the grape juice on your face makes your skin fair and glowing. The fibre and water present in grapes keep your skin hydrated for a long time and so, it is very good for dry skin. It is rich in antioxidants which fight against the free radicals in the body and provide you clear and youthful skin. Mixing grape juice with gram flour or cocoa powder and applying it to your face act as a wonderful face pack which keeps your face glow and clear. Vitamin E present in grapes helps in keeping the cuticles of the hair strong and makes hair strong and shiny. 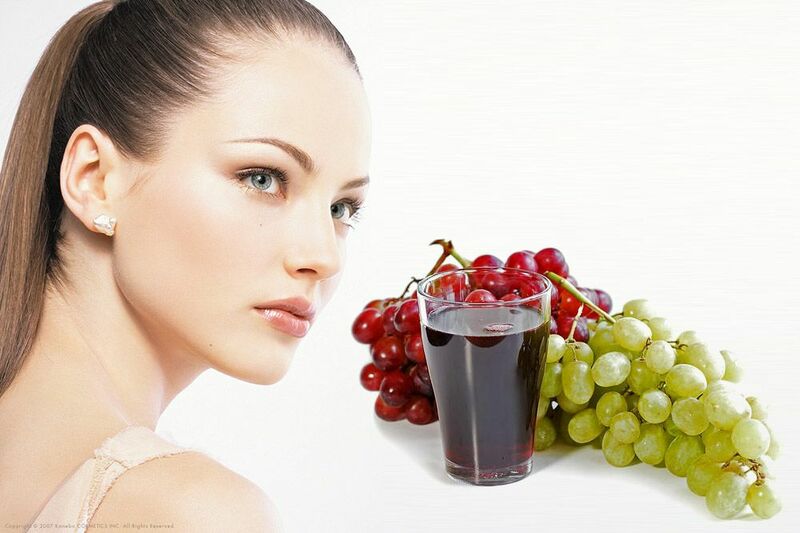 You can get rid of various problems of the hair like dullness, hair fall and grey hair by having grape juice. Grape juice cures blood disorders and is a very good purifier of the blood. It also flushes out harmful toxins from the body. Drinking grape juice daily helps in lowering blood pressure. If you want to keep the levels of the cholesterol under control, have a glass of grape juice daily. Flavonoids found in grape juice raise the level of HDL (good) cholesterol. This prevents atherosclerosis, blockage of arteries and improves cardiovascular health. Grape juice helps in increasing the metabolism of the body and curbing hunger pangs. This, in turn, helps you manage your weight and also reduces the chances of obesity-related problems like diabetes, arthritis etc. Taking grape juice in the morning without sugar helps cure migraine headaches.